I found this great video on how to coach masterfully at the Institute of Coaching's spiffy new website. In this 30-minute interview with Google's Director of Executive Coaching & Leadership, David Peterson, PhD., discusses what it means to be a masterful coach, how it is nonlinear, goes way beyond asking powerful questions, and how nearly everyone at Google is shifting to a coach approach, so those who call themselves, professional coaches, need to get really good at what they do to stay credible.Hence, the discussion on coaching mastery. Master coaches have learned many concepts and communication skills that make a dramatic difference to their coaching clients. But as with many endeavors, the 80/20 rule applies in coaching. That is, about 80% of the value is created by approximately 20% of the effort. The secret is to learn which 20% makes the difference. So here's part of that secret: connect your client's goals to what matters most to your client, i.e. their values, their calling, their life purpose, or the legacy they want to leave. 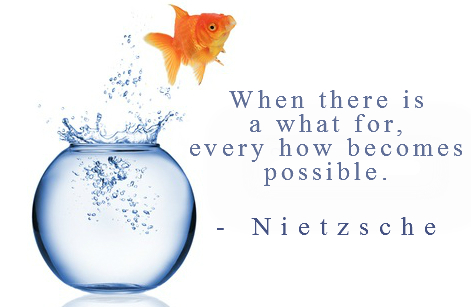 A powerful "why" generates resourceful "hows". The result? Coaching is much easier for the coach and much more powerful for the client. If you want to become a life coach (or business coach, executive coach, career coach, etc. ), then you need one of the following best life coach certifications (See table, below). They are all "general" coach certifications, meaning they measure the knowledge and skills required for professional coaching, regardless whether you are a life coach, business coach, executive coach, or some other type of coach. Because, as we say in coaching, "All coaching is really life coaching, because everyone has a life." If you have expertise in business, for instance, you can combine that with your coaching skills to become a business coach. 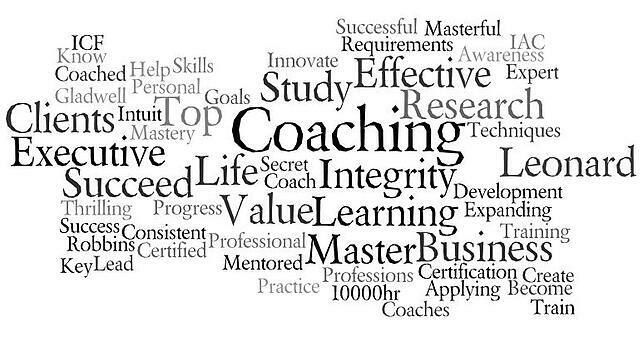 There are hundreds of life coach certifications to choose from. 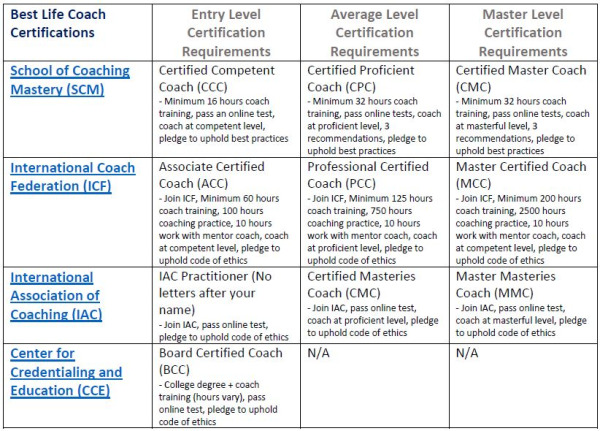 I created the following table to compare and contrast some of the leading coach certifications, and their requirements, to help you avoid getting caught up with the wrong organizations. Watch out for organizations with similar-sounding names that may be disreputable. Some of them are scams. You need at least an entry-level (competent) certification, because surveys show that prospective coaching clients prefer coaches with credentials, when given the choice, even if they don't ask about certification. On average, most certified coaches achieve proficient-level certifications. 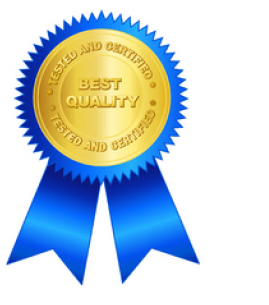 Certified master coaches are relatively few and are considered the "elite". Yes, you can often attract more clients (those who are looking for the best) and charge more for your coaching when you have master-level certifications. School of Coaching Mastery (SCM) is a coach-training school that will prepare you for its certifications, the cost of which is usually included with the cost of your training. International Coach Federation (ICF) is the largest and best known association of professional coaches. International Association of Coaching (IAC) was founded by the same man, Thomas Leonard, who founded the ICF, because he thought he had discovered a better way to certify great coaches. Would you like to be a better coach, immediately? Then here's a tip on how to make full use of what researchers call, "the audience effect". One of our main jobs, as coaches, is to help our clients think better and be more resourceful. One of the biggest mistakes we can make, then, is to try to think FOR the client. That is never a coach's job. When you think for your clients, a.k.a. solve their problems or tell them what to do, you're acting like the star of the show. You're never the star, your client is. Your job is to be a member of the audience. Let me explain: most of the time, when a client hires a professional, such as a trial lawyer, or brain surgeon, they want the most brilliant professional they can afford, because the professional provides the outcome. But the purpose of hiring a coach is to BE brilliant, because the client provides the outcome. Big difference. Here's where the audience effect comes in. Researchers have found that people learn faster when they have to explain to someone else what's going on, or what their thinking, or process, is. This is called, "the audience effect". If you want someone to be more resourceful, give them an audience. Of course, some audiences are distracting, or worse. And for some coaches, being an audience of one is a lot harder than putting on a show (or sham) for the client. You've probably heard the saying, "If you want to learn something, teach it." Well, your clients learn faster and, in effect, get smarter, when they have to explain, or even teach you. In fact, at the Master Certified Coach level, the ICF expects the coach to be open to being taught by the client. Not at the beginner level, but at the master level. 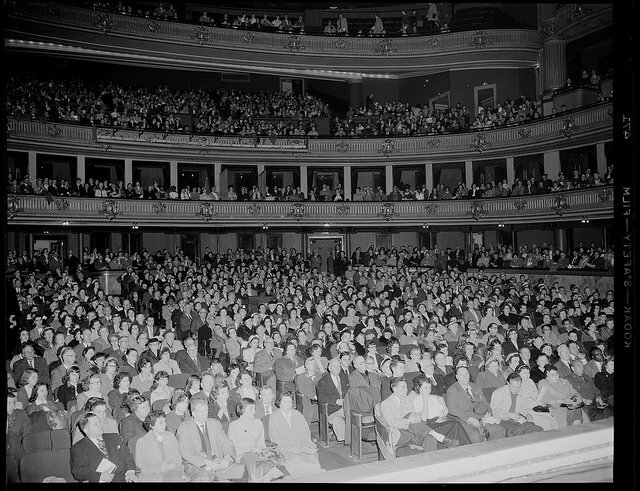 If you want to be a great coach, you need to get comfortable with being a member of the audience, like that crowd, above. At most, you're the audience member who stands up at the mike and asks a question. The client, or star, is the one who gets to be brilliant. You just listen and occasionally provide the coaching equivalent of applause, a.k.a.validation. Of course, some coaches combine consulting with coaching and if that's what your client hired you for, then sometimes you share your experience or opinion with them. But be sure you know the difference, because, in the end, leveraging the audience effect will provide greater results for your client. And if you have the personal development to get your ego out of the way, this is an effortless (not to mention, masterful) approach to provide amazing outcomes for your coaching clients. On June 20th, 2013, Kristi Arndt, MMC, former Vice President of the International Association of Coaching, interviewed me for the IAC's Master Coach Interview Series. You need to be a member of the IAC to access their copy of the interview, but you can listen via the online player here for free, to the resulting 49-minute audio. I've listed the topics covered in the time line below, so you can choose the parts you're curious about. Or, join the IAC virtual chapter for free to get a copy of the interview download link and listen at your convenience. By the way, Kristi will co-host an upcoming IAC chapter meeting with me, in which you'll get a taste of the power of virtual triads to strengthen your coaching and pass IAC Coach Certification. 7:15 What does "master coach" mean? 17:30 How to get into "master coaching mode"
As our name suggests, at School of Coaching Mastery, we specialize in Master Coach Training. So we've developed quite a bit of expertise around master coaching. It's a whole different approach. One that's recognized and valued by both the ICF and the IAC. Coaching is simplified. Coaching can be dizzyingly complex and every client session is different. Templates and formulas don't work. The elegance of a simple, but accurate, model does work. As Oliver Wendell Holmes said, "I would not give a fig for the simplicity this side of complexity, but I would give my whole life for the simplicity on the other side of complexity." Coaching is hyper-personalized. Your clients pay for a highly personal and customized experience, created just for them, because that's what fosters extraordinary results. Master coaching provides the tools to do exactly that. Coaching is inter-developmental. At the Master Certified Coach level, the ICF expects the coach to learn from the client. Brilliant clients are attracted to brilliant master coaches. Imagine what we learn from our clients. Coaching is uncanny. Master coaches unearth truths, within moments, that can elude other coaches for years - and could elude your clients for eternity. Coaching is thrilling. Clients are thrilled when someone gets them completely and is still fascinated by them. Coaches are thrilled by their clients' journeys to magnificent success. Coaching is catalytic. Brilliant people are usually surrounded by people who don't get them. That's awfully lonely and it undermines confidence. Just having us believe in them is a catalyst that launches coaching clients into greatness. And by the way, virtually everyone is brilliant under the right circumstances. Coaching is fun. When the coach knows what to focus on, pressure evaporates and fun ensues. To the uninitiated, it might sound like the coach and client are just laughing together. But within that fun energy, is the energy of greatness. Incredible work gets completed and projects get launched and out the door, quickly. Coaching is humbling. When your mind-state is in "master coaching mode", you can't help but notice how amazing your clients are and what an honor it is for them to share their brilliance with you. Coaching is fulfilling. Master coaches know they are answering their calling when they coach. They are changing lives and changing the world for the better. Talk about an honor! As George Bernard Shaw said, "This is the true joy in life, the being used for a purpose recognized by yourself as a mighty one." Coaching is highly paid. You've heard how much coaches charge. Have you wondered why? Part of the answer is because master coaching is worth it. The bigger reason is because great clients need to make big investments in order to show up fully. Mediocre coaching may not be worth $200-300 per hour, but great coaching is worth far more. I've dedicated my life to master coaching, yours and mine. Are you up for it? Because if you are, the next Master Coach Training, 32-hour program, including 20 hours of advanced practice, starts soon and special pricing is available for a limited time. This is what I live for. Hope to see you there! 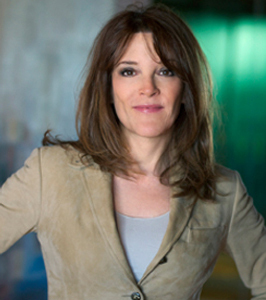 Saturday, I attended an all-day seminar with Marianne Williamson, the best-selling author, speaker and spiritual teacher who popularized the profoundly mysterious Course in Miracles that thousands of spiritual seekers have studied. Life coaches can be pretty New Age-y, especially when they are new. But what I like about Marianne is that she's the real deal. Instead of dressing in flowing tie-dye and spouting the latest spiritual-sounding gobbledygook (I'm totally downloading!) She's dressed in a simple pantsuit and not afraid to use some hard language. Marianne told us all of our problems are directly related to what we're not giving. An African American woman raised her hand and said her problem was having to live with racism and she didn't see how that was about what she hasn't given. Marianne could have told the woman that her problem was that she hadn't forgiven. Instead she commented that racism continues in America because there's never been a national atonement. So she asked all black Americans to stand up and a white American stood with each. Each white American asked for forgiveness and each African American gave it. That's a healing conversation if ever there was one. There were many tears. Some were mine. She said if Western women cared as much about the world as they do their careers, 17,000 children wouldn't die of starvation everyday. She told us that it's easier to teach political skills to conscious people than it is to teach consciousness to politicians. Therefore, it's our responsibility to get more politically involved (She'll be teaching a course on how to do that in November). When someone stood up and asked her to run for President, she said she can better serve by helping other conscious people run and that's what she's working on. By the way, I lunched with veteran coaches, Joanne Waldman, Kristi Arndt, and Lynne Klippel. None spoke a single New Age syllable. 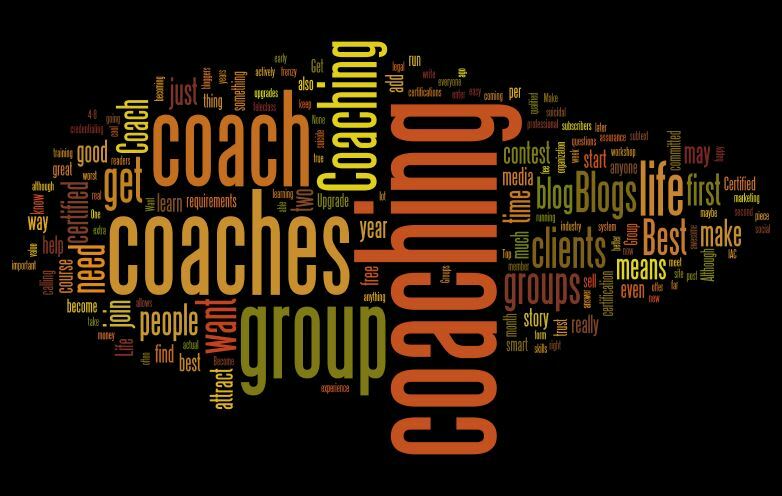 Today, in the International Association of Coaching's (IAC) Voice newletter/blog, an article by Business Coach, Mattison Grey, MCC, appeared with the title, When the Best Coaching Tool Isn't a Question. In her article, Mattison makes a powerful case for acknowledgment as a masterful coaching tool. She should know. 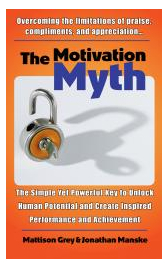 Mattison wrote the book on acknowledgment called, The Motivation Myth. And she points out that most coaches don't know what it is or confuse it with something else. Mattison has studied the art of acknowledgment more than anyone I know, probably more than any coach alive, so I always defer to her on this subject. She started educating me on acknowledgment six or seven years ago and I've watched her use it in action many times. It truly is amazing. Unfortunately, if you haven't watched a master acknowledger practice her art, or if you didn't know what you were witnessing, you probably missed the implications. So let me point out a few. Acknowledgment is saying what a person did, or results they achieved, delivered with a tone of appreciation, curiosity or surprise, and without judgment. Easy, right? Try it. For most coaches, it's anything but easy. That's because we're still getting in the client's way (In other words, we're NOT making it all about them, so we're failing the first step in master coaching). When I teach acknowledgment to Master Coach Training students, I offer a few pointers, such as, use second-person pronouns (you, your, yours) instead of first-person pronouns (I, me, mine); acknowledge what the client did, the results they got and who they are becoming. When used well, acknowledgment can express or enhance virtually any other coaching skill, including all of the IAC Coaching Masteries(tm). The right acknowledgment, well-placed and followed by a bit of silence, can even be a powerful clarifier. Which is one reason why master coaches don't always ask questions. *I'm an affiliate of Mattison's and I would recommend this book, anyway. One Million Master Coaches Worldwide? 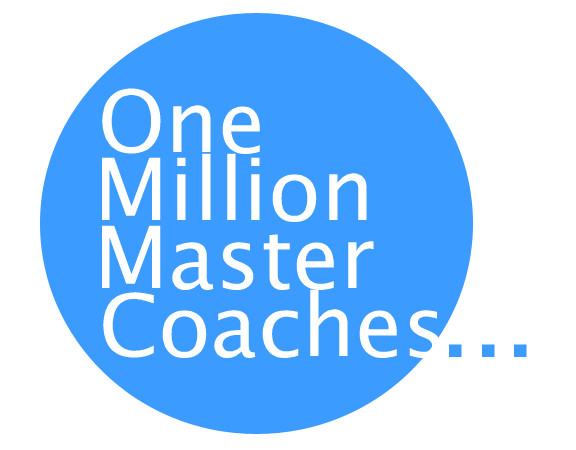 One Million Master Coaches Worldwide? It has a nice ring, doesn't it? The growth of professional life and business coaching has been so strong over the past 20 years, that it's really a matter of time, probably a few decades, before we reach one million coaches around the world. But business and life coaching aren't just growing in numbers, the skill level of coaches is also skyrocketing. What was considered master coaching a decade ago is not outstanding any longer. So by current standards, not only will we have a million coaches worldwide someday, but we will have a million master coaches worldwide. What difference will that make to the world, to coaching clients and to coaches, themselves? will mean the economics of coaching will change - but how?